It is with regret that St Helens Rugby League Referees Society learns of the passing of former Society Member Eric Leigh. Eric was a member for many years and during his time at the Society, he served as Secretary for 5 years. Eric passed away peacefully in his sleep on Saturday night. The Society offers our condolences to Eric’s friends and family at this very difficult time. When I found out that Eric Leigh had passed away I was totally devastated. My thoughts go back to the time when he came to join the Society. He joined the Society in 1987 after playing in the local leagues with Blackbrook, and was seen at the monthly meetings, also at the development meetings and passed his grading exam to become a Grade 3 official. He progressed through the leagues officiating at junior, youth and open age regularly, and eventually reached the Alliance League and regularly ran touch in it, culminating in running the line on the semi final of the Alliance Cup at York, with John Kinsella in the middle, he also refereed a County Championship game between Cumbria and Yorkshire, and was assisted on the line by Dave Webster. He was actively involved in the management of the Society and held the position of the Society Secretary for 5 years, in fact he supervised the biggest society dinner in the history of the society, when 180 plus guests sat down for the meal. He eventually retired from the Society at the end of the 1998 season ,and has always kept in touch with members of the Society until he sadly passed away at the age of 62. God Bless and Rest in peace Eric. I am sorry to hear about Eric’s passing. Eric watched me on my first junior outing and again the following week on open age with Frank Tickle. He Suffered from ill health in recent years but it was good to chat with him a few months back. Sad News. Eric was an excellent Secretary of the Society for a good few years and helped the society in many ways. Personally Eric was a dear friend to me even though we had not seen each other for a while. I can fondly remember being on matches with him both amateur and professional, the good and not so good times. A lot of funny tales and experiences were had with him. The funniest when we met up on holiday in Benidorm, that’s for another time. I am proud to call him my mate. RIP Eric. 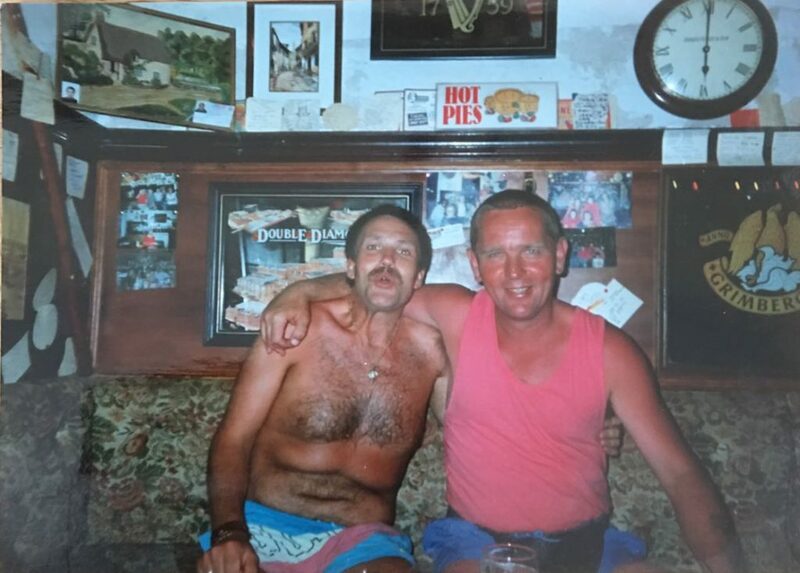 Eric pictured here with John Kinsella – “Magpies Nest, Benidorm”.